Do you know the difference between Post-Inflammatory Hyperpigmentation and Post-Acne Inflammation ? I didn't. 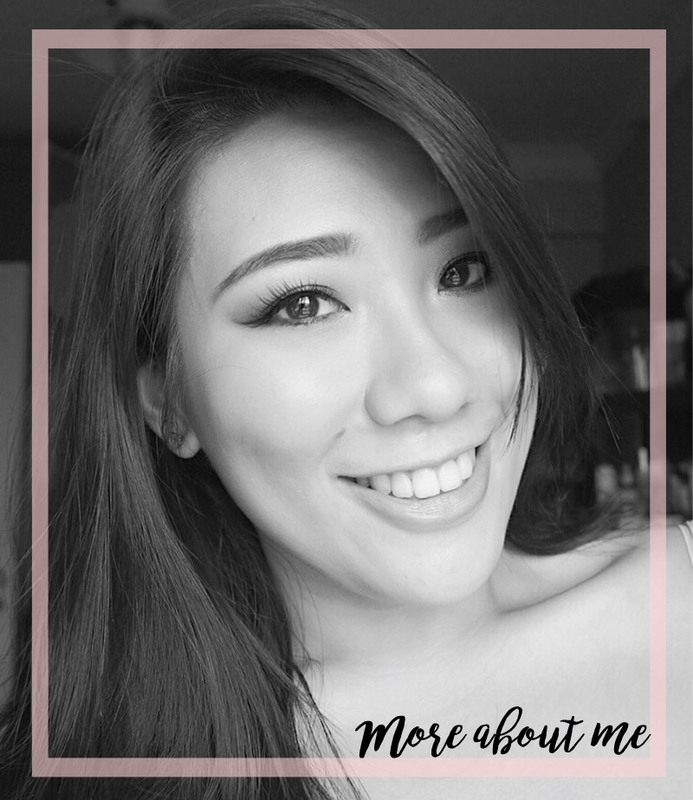 Before meeting Dr David Loh from David Loh Surgery, I never realised the difference in acne marks on the skin and I always assumed that I suffered from brown hyperpigmentation spots from my acne outburst. This resulted in me slathering on tons of whitening skincare products in hopes of lightening them up but it was not really effective. Turns out, I've got it wrong. Recently, I headed over to David Loh Surgery to check out their services. David Loh Surgery was founded in 2002 with the focus on aesthetic procedures that involve little or no recovery. 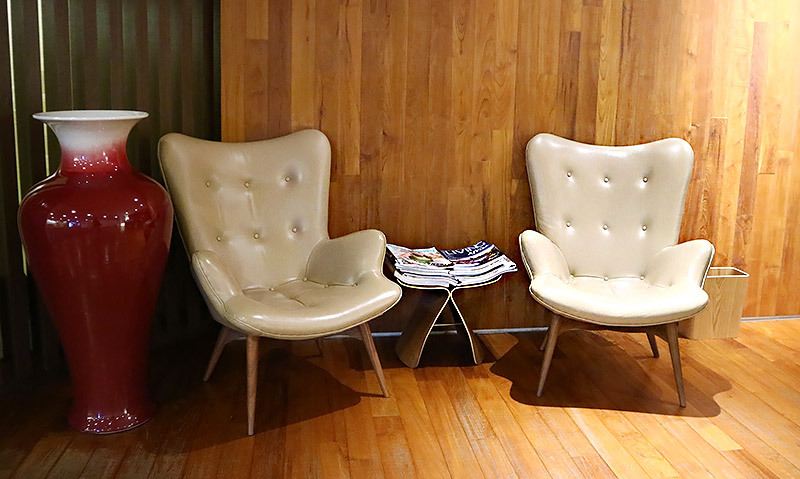 There are currently two outlets, one located at Wheelock Place and the other at Park House. 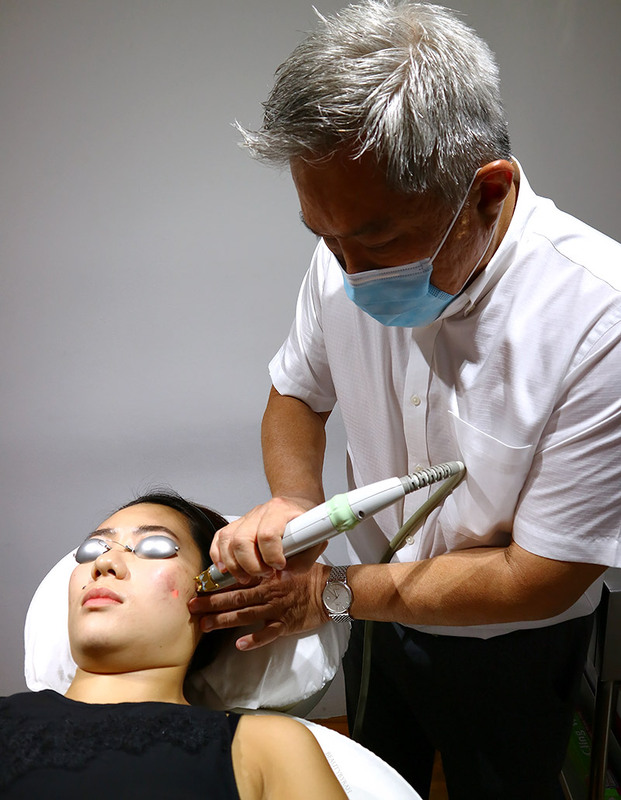 I was pretty interested in trying out their new PICO Enlighten laser, which is meant to help reduce the appearance of post inflammatory hyperpigmentation. I have been struggling with acne for a long time now so I thought that this PICO laser would help. However, after consultation with Dr Loh, I realised that the dark spots on my cheeks were in fact not post inflammatory hyperpigmentation (which are brown spots) but they are post acne inflammation (red spots) which are due to the broken blood capillaries. This is unrelated to melanin or skin pigments. I have quite a few on my cheeks and a pesky one right smack on my forehead. Before this, I actually did not know there was a difference. Thus, I underwent their Laser Genesis Treatment instead. The Laser Genesis treatment involves the use of a long-pulsed Nd-Yag laser which is normally used to treat veins and remove hair. 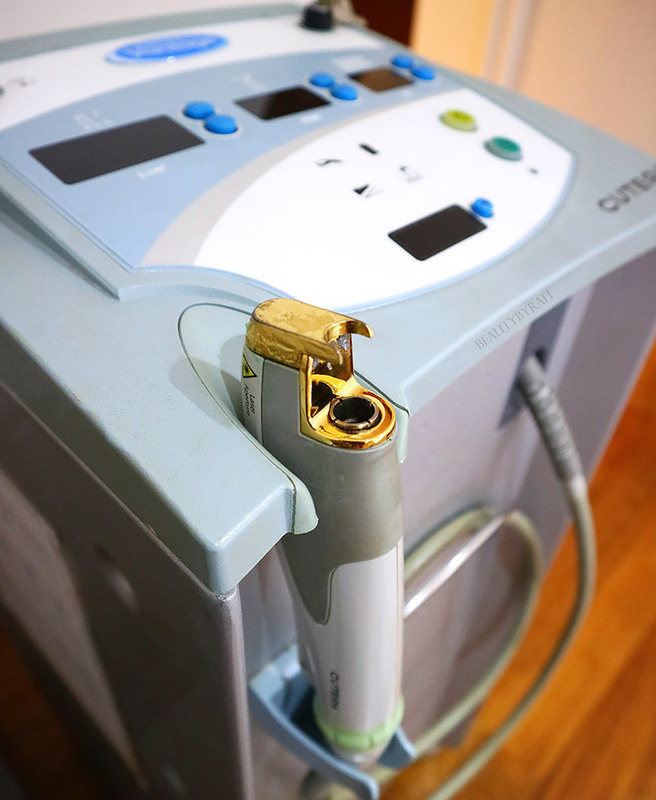 When the laser hits the skin, capillary walls will send signals to the skin to produce more collagen. 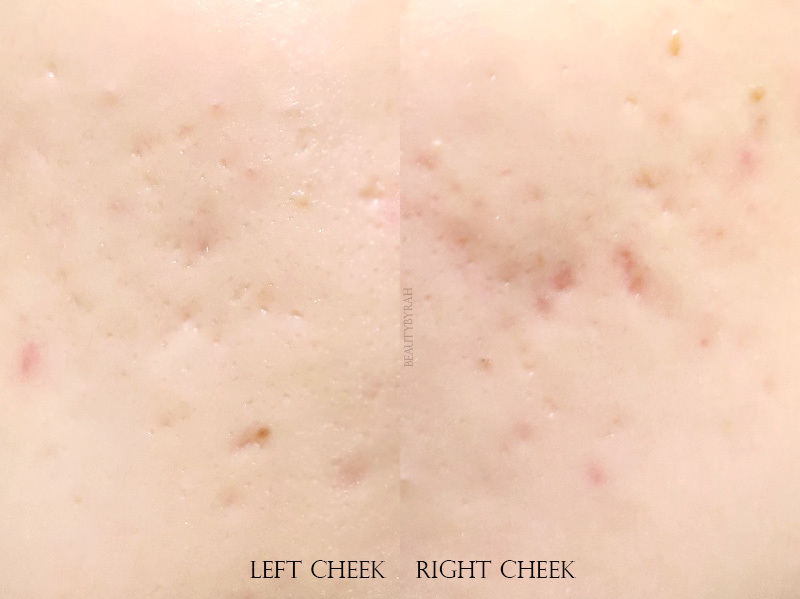 I had a total of 2 treatments with a break of 3 weeks to help aid the redness of my post acne inflammation and I really did see a reduction of the redness, even after the first session. I had my sessions at the Wheelock outlet and an appointment took less than 30 minutes so it was really quick and convenient. This laser is non-ablative (does not injure the skin surface or remove skin layers while it passes through) and it doesn't hurt. 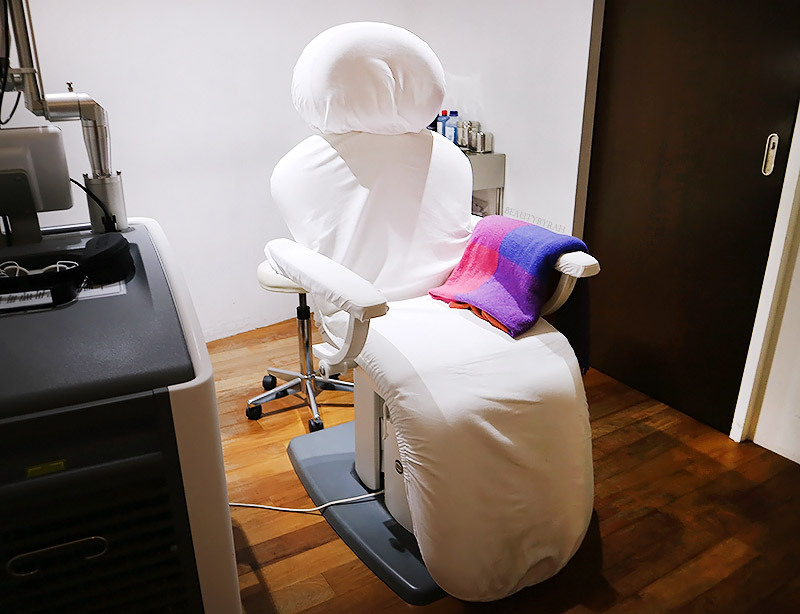 I was expecting it to be similar to my previous laser treatments that I've done before but it was a pleasant surprise that this treatment was very comfortable. The laser just felt warm against the skin as it works by heating up the targeted tissue. There is no need for numbing cream either. The slight discomfort of the heat is definitely the most bearable treatment I've done so far. Right after the treatment, I realised that my skin was slightly more red than normal (could be due to the heat, I'm not too sure) but there was no downtime. My skin did not feel tight nor dry and there wasn't any sensitivity. In fact, as I had an event to attend after, I applied makeup and was good to go. 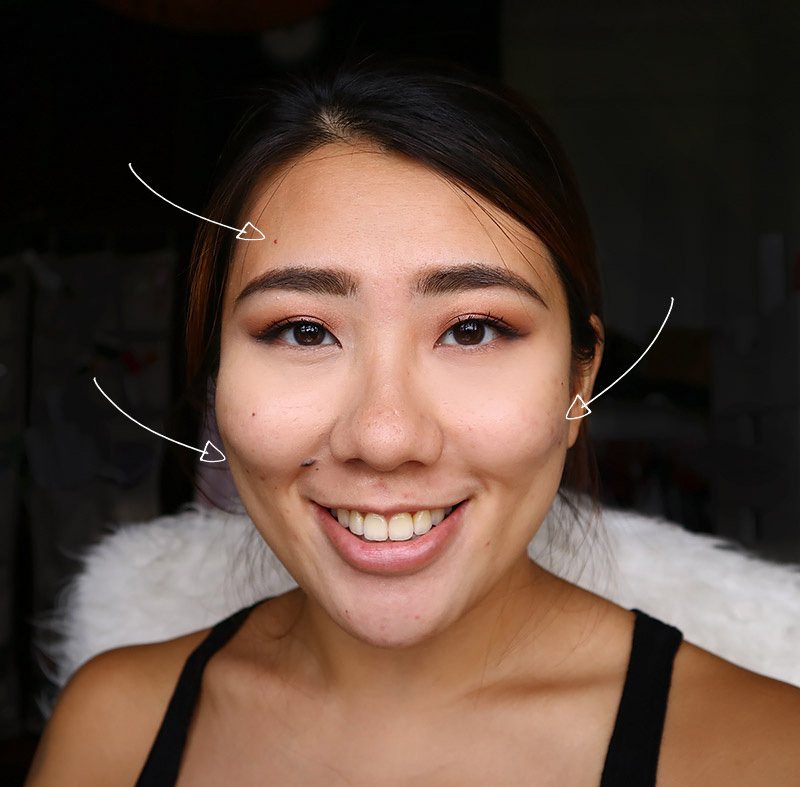 For many years now, I had this red spot on my forehead which I sometimes have to edit out in my eye makeup images as it ruins the aesthetics in my opinion. This spot has been visible for as long as I remember and I have nary a clue as to how I got it. Dr David Loh treated it in the first session and I noticed that after 2 weeks, the redness reduced gradually to a light brown. The slight bump is still there but now it's pretty much my skin tone. 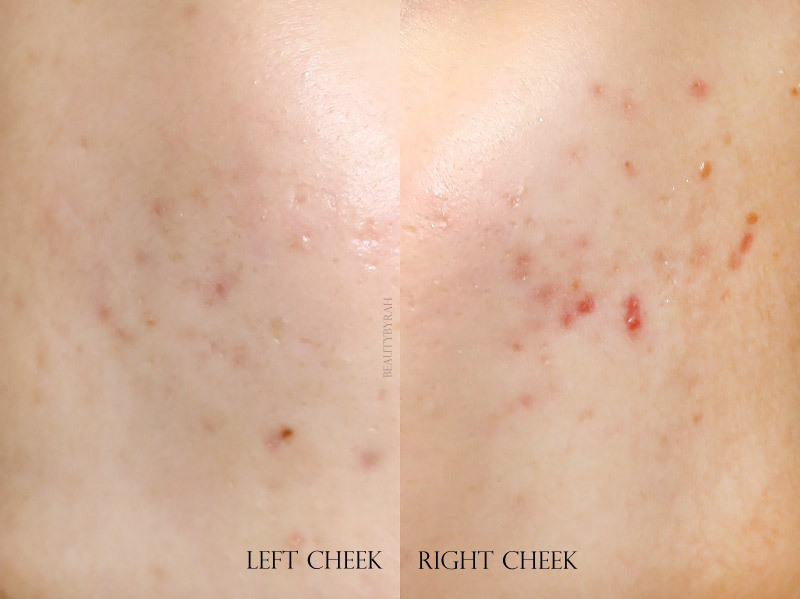 The area with the most prominent post acne inflammation spots were on my cheek area as that is where I tend to suffer from the onslaught of acne usually. After the first session, I did notice that it became slightly less red on my bare skin and when I apply a thin layer of foundation normally as I usually do, I realised that some spots are totally covered by the foundation (before, it would still peek through unless I spot conceal). After I concluded my second session, which was 3 weeks later, the red spots are further reduced in intensity. 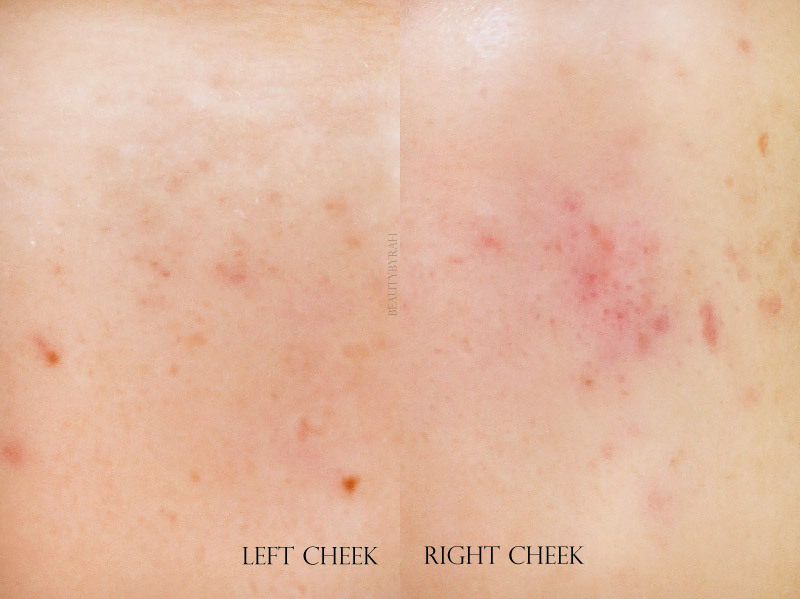 I would say, after both sessions, my redness of the spots reduced by about 50%, especially on the right cheek which is pretty significant for just 2 sessions of less than half an hour. Overall, I am really pleased with the effects of the Laser Genesis treatment by Dr David Loh. I like how there is not much discomfort or pain during the treatment as well as the lack of downtime. For more information of David Loh Surgery and aesthetic services provided, you can visit the main website here. ** Disclaimer: The Laser Genesis Treatments were sponsored by David Loh Surgery for review consideration. I am not compensated or affiliated to the brand. The above review is based on my true and honest opinion and it also contains information from the brand itself.